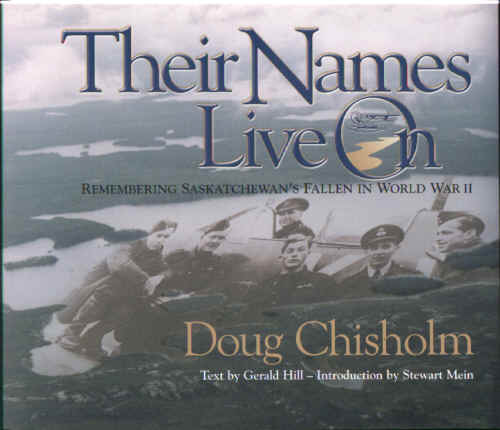 This marvelous, 280 page book is a must for all family members of Saskatchewan's hero's of World War II that gave the supreme sacrifice so we could live in a free world. The foreword is by Mr. David Arthur, Chair of the Geographic Names Board of Saskatchewan. The Preface by the author, Mr. Doug Chisholm, is a down-to-the earth story of how he came to become so interested in preserving the history of these heroic people. An Introductory Essay by Dr. Stewart Mein is included and gives a condensed history of two wars, 1919 through 1945 and the involvement of Saskatchewan people. It is extremely interesting and full of historical information from that era. Then comes the heart of this book, the stories of Eighty-nine young Saskatchewan men that gave their lives that the future world could be free. Well written by Gerry Hill, these stories and bountiful pictures have been collected by Doug Chisholm from his personal contact with the many family members he has communicated with. There are also coloured aerial photographs of some of the lakes, rivers and islands that have been name after Soldiers, Sailors and Airmen from Saskatchewan that did not return when the war was over. Also in this book is Saskatchewan's Honour Roll from World War II. Approximately 3800 names appear complete with their Branch of Service, Rank, Hometown, Casualty Date, the Geo-Memorial named for them and it's location in Longitude and Latitude. This book makes a beautiful interesting read, is a good reference and a would make a fine addition to anyone's library. By Linda Alberta and appears here with permission. It takes a burly Saskatchewan bush pilot to appreciate the finer moments of Canadian history. For Doug Chisholm, four years of flying, mixed with daring aerial photography , add up to one important book. Their Names Live on: Remembering Saskatchewan's fallen in World War II looks at the people behind a forgotten legacy - a testimony to wartime lives, implanted deep in the rocks and lakes of Saskatchewan. An independent pilot for 27 years, Chisholm's memorial project began with a call out of the blue. " I was approached by someone to take a picture of an island named after a lady's brother," he explains. "I contacted the government office and asked what they could tell me about him." The next thing he knew, "They sent me a list of 3,800 servicemen from Saskatchewan who died in WWII," he says. Chisholm had stumbled upon a little-known fact. After the end of World War II, the Saskatchewan government had named lakes, islands, bays and other geographic features after the 3,800 who never returned. Chisholm began flying to the sites; photographing them from his Cessna 180. A natural entrepreneur, he put the photos into frames and sold them to family members. He also flew widows out to the sites, sometimes landing his floatplane to place a bronze plaque memorial. Every location had a story and each story touched his heart. "As I came in contact with different families, they opened up and told me their stories" he says. "People would tell me about their brother or their uncle: real people with real lives, who grew up in rural Saskatchewan." He encouraged the families to send him old photographs and letters to add to his growing file of biographies. In the end, 78 out of 3,800 servicemen made it into Their Names Live On, with biographies and aerial photos of the geographic site that bears their names. But the book does include the complete list of sites named in their honour. Chisholm says the book is historically significant because it's a crucial way of recording an important piece of Saskatchewan's history before it's lost forever. He says the book offers heartfelt images of the wars years, pays respect to young men who made the ultimate sacrifice, and brings home the reality that 'these were real Saskatchewan boys who might have been your neighbours." Chisholm, who lives in La Ronge, Saskatchewan, has now been flying and photographing some of the 4,000 memorial sites in Manitoba, but he hasn't decided whether the results will become another book. "I do this because it's worthwhile," he says. "I don't have any grants. I love to fly my airplane and I feel compelled to do this research, but who knows where it's gonna go? As a bush pilot in northern Saskatchewan, I have learned to study maps, to find my way outbound, and to pick my return way home. The maps show the flow of the land, the waterways, and the many names and geographic features which become points of reference. On occasion, I have visited a site and come across a bronze plaque which had been placed by a family in memory of the person for whom the geographic feature is named. I had always been intrigued by these geo-memorial sites, but it was not until 1997 that a phone call led me to look into them further. In August 1997, I received a call from a friend in Regina, asking me if I would take a photo from my aircraft of an island on Lac La Ronge. It was a simple request, since I lived in La Ronge since 1975 and do love to fly my aircraft when ever I can find a good excuse. Apparently there was an elderly woman in a Regina hospital who had always wanted to visit Soutar Island, but was now unable to make the trip. I was advised that Soutar Island had been named by our province in memory of her brother who had lost his life with the RCAF during World War II. I got out my map, and sure enough, there was a Soutar Island, so away I went. As I circled the island in my floatplane, I found myself wondering who Pilot Officer James Soutar really was and what his life was like. What circumstances had drawn this young man from Saskatchewan to enlist in the Royal Canadian Air Force in 1941? What about his surviving family. The family was not sure if there was any commemorative plaque at Soutar Island, and as I circle I noticed a cabin with a boat at the dock. 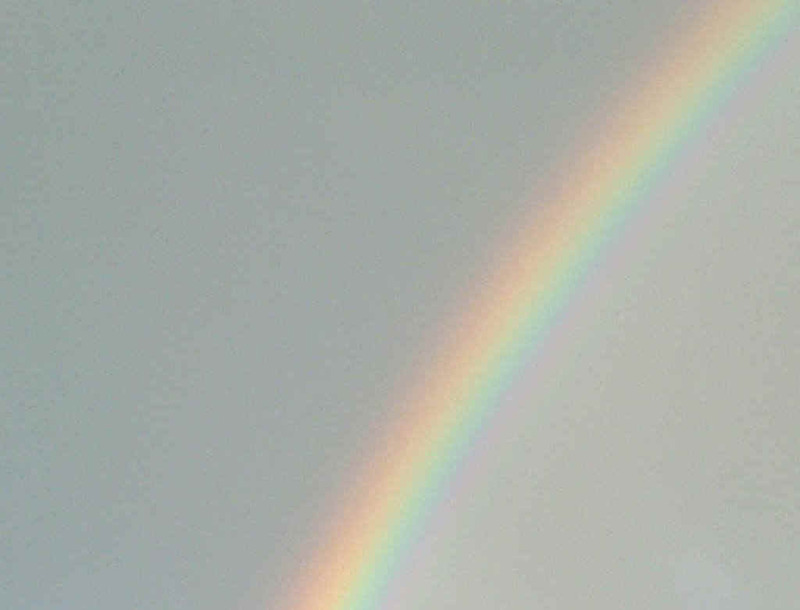 It was a lovely summer day, and I felt compelled to land my floatplane to find out more. When the cabin owner greeted me, I asked if he knew of any commemorative plaque on Soutar Island. After a cup of coffee, we explored the rugged Precambrian shoreline of the island and the lovely sand beach. We did not find a plaque, but I gathered a few rocks from the shoreline, some sand from the beach, and a few leaves from the trees- these were subsequently sent with the aerial photos to the family of Pilot Officer James Soutar. That simple request from the Soutar family piqued my curiosity about many of the names which appeared on my maps. After a bit of initial research, I discovered how Soutar Island and many other geographical features had come to be named after men and women who, like James had died during their service in the Second World War. Between 1947 and 1965, the province of Saskatchewan named nearly 3,700 geographic features after those Saskatchewan people whose names were found on the official RCAF, Army and Navy casualty lists. Every name was officially gazetted at the provincial mapping office-the list included rank, casualty date, and regimental number, along with the geographic feature, its location, and the map sheet on which the feature can be found. The list did not include hometown, regiment, or family contact of the honouree. As the years went by , the origin of many of the names had become somewhat dormant. Families moved on, many unaware of the fact that a geographic feature had been named in memory of their son, daughter, father or brother. Since I first photographed Soutar Island in 1997, I have had opportunity to record aerial photos of over 3,000 of these geo-memorial sites. Sometimes when record a photo of a particular lake or island, it is as a result of a specific request from family members; most times, I run merely on faith and the hope that at some time in the future, I will be contacted by a brother, sister, son or daughter, niece or nephew, or someone who cares. I continue to be amazed by how many families are not aware that the province named a lake or island in memory of a long-lost brother or uncle, and it is enormously satisfying to be able to provide information when requested. Thus far, I have been able to provide aerial photo tributes to over five hundred families, and it is has been through their encouragement and support that I have been able to continue my research. Sometimes families request that I place a bronze memorial plaque at the site. On those occasions, I not only photograph the site, but I land my 1954 Cessna 180 floatplane at a suitable location. After I mount the bronze plaque to the bedrock, I play and audio cassette of the Last Post and Reveille - the entire event recorded for the family with my video camera. Linton Lake on the Saskatchewan - Northwest Territories border was the site of one such visit in the year 2000. Some families want to visit the site themselves. My contact with the Bartlett family from Fort Qu'Appelle resulted in a visit to Bartlett Lake by fifteen relatives from all across Canada - a sister from Ottawa, a brother from Victoria, and one from Qu'Appelle. Together with children and grandchildren, they flew to the lake in July 1999, where the bronze plaque was place in memory of Wing Commander Christopher Smales Bartlett, RCAF. As a guest of the family, I stopped in with my floatplane to share the event and enjoy the wonderful lunch of fresh fish caught that day. For many family members the vastness and quiet beauty of the North brings a kind of peace to their memories of separation by war and death more than fifty years ago. I was born in Scotland in 1953 and, coming from a British family, I always thought that I knew about the Second World War. My parents and all my uncles and aunts had served their country in either the Air Force, Army or Navy. The same is true of the family of my wife Kathy, who was born in Estevan, where her father and his brothers had all enlisted during those war years.. Although I thought I knew about the war, in reality, as a member of the post-war "baby boom" generation, my understanding of such matters took much for granted. The post-war years were busy times for families, who earnestly tried to get on with their lives, work hard, and raise a family. Often families chose not to talk of the war, of the horrors they had experienced, and if the sacrifices which had been made. As my generation grew into early adulthood, images of our parents' military service were often distorted with images of the Vietnam War. For the groundswell of new recruits, Saskatchewan would become but a distant memory as they found themselves far from their hometowns. Once they enlisted, their training at bases across Canada changed keen young prairie boys into young men. When training in Canada was complete, they were off to England for more training or for duties in support of the war effort. Those who remained at home remember the fears and the tears, the prayers, cold winter nights, rations, nightly radio broadcasts, socks knitted, packages sent, and letters received from overseas. Some also received telegrams of regret from King George VI; some families would receive two such telegrams, and one Saskatchewan family would receive three. In 1999, I visited the Canadian Plains Research Centre at the University of Regina, and, there, a discussion about my research evolved into a discussion about a book. I feel honoured to share some of my aerial photo images of those geo-memorial sites, together with a collection of individual stories and family photos. It is hoped that these powerful images will reach beyond immediate family members, filtering out to extended families across the province and across the country. It is the younger generations who must be given these stories so they, too, can remember. Written by Gerald Hill, the stories told in these pages are but seventy-eight of the hundreds of stories which families have openly shared with me. Indeed, for many families, even those who in earlier times chose not to discuss their experiences from the war years, it is now time to pass on these memories to future generations. Sadly, the stories of some 3,800 men and women will, in fact, never be told, because those who once remembered them are themselves gone. While their stories are gone, however, their names live on - in Saskatchewan's official gazetteer, on the province's map, and in the quiet beauty of our remote islands, lakes, and bays. Lest We Forget.